Somehow, Emilio Estevez captured the essence of the Camino in his most recent film The Way. He must have walked it himself I thought as I watched the film this past weekend. Or at a minimum, immersed himself in the piles of material written about it over the centuries and spent time on the trail with peregrinos. 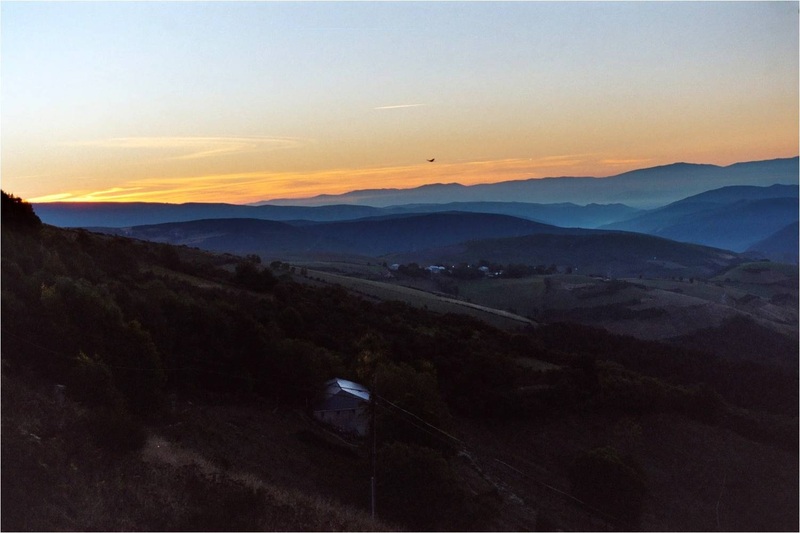 After all, the Camino de Santiago is many things – a walking trail, a pilgrimage, a feeling, an adventure, an escape and a realization – all wrapped up in one. It’s the loneliness of sore feet after trekking double digit miles day after day lost in your thoughts and the camaraderie of a shared experience with countless others doing the same thing. It’s a connection to an ancient past and hope for the future. I know because I walked part of the Camino a few years ago and experienced in two weeks much of what Estevez conveys in two hours. The Camino de Santiago is a centuries-old pilgrimage trail that crosses northern Spain. 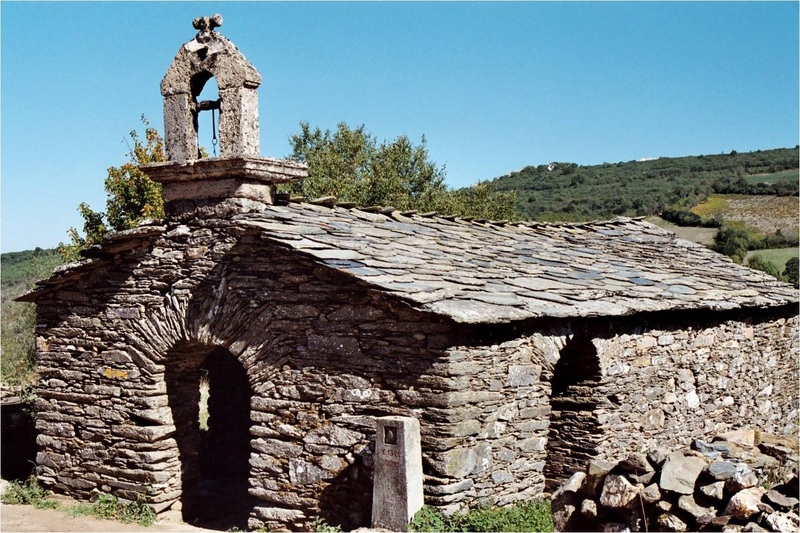 It officially starts in France in the border town of St. Jean de Pied de Port at the foot of the Pyrenees and ends at the Cathedral of St. James the Apostle in the Spanish city of Santiago de Compostela 800 kilometers (500 miles) to the west. 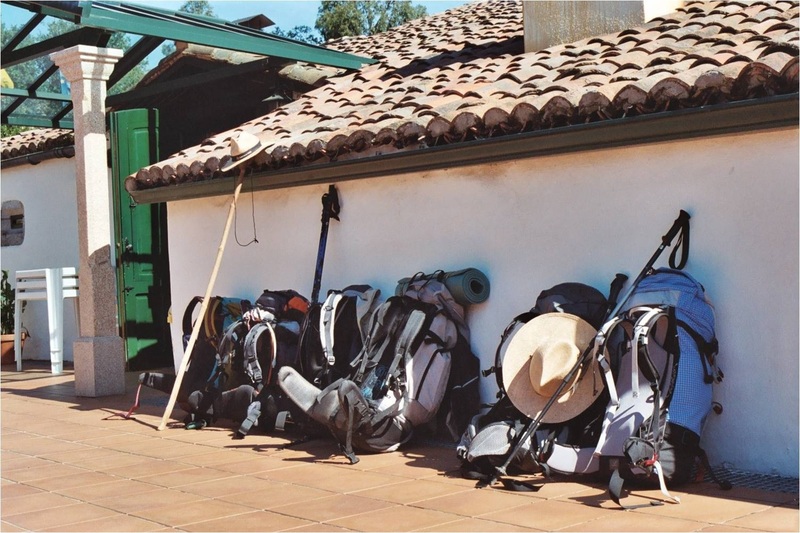 In reality, the Camino has many beginnings (both metaphorically and geographically). 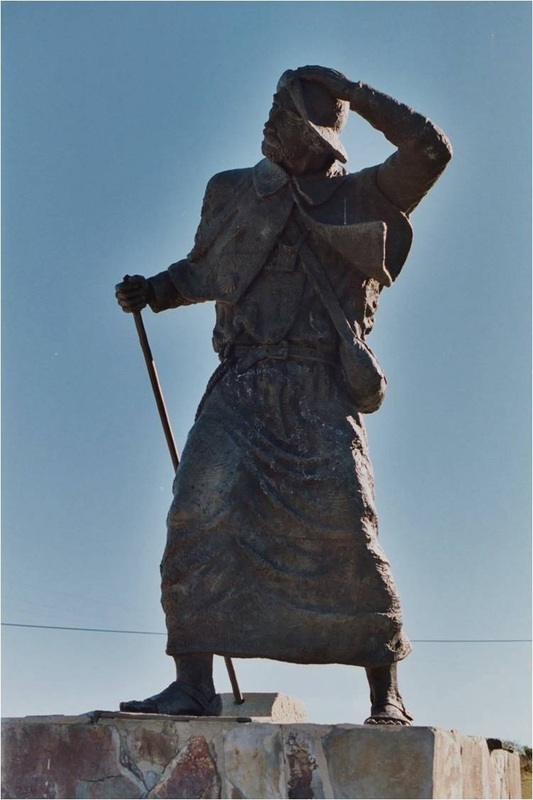 For roughly a thousand years pilgrims have followed various paths through France, Germany and southern Spain to reach the Camino and continue on to Santiago. Although it started out exclusively as a religious pilgrimage, today peregrinos (as pilgrims are known on the Camino) walk it for many reasons. It’s now conventional Camino wisdom to assume that people take to the trail because they are searching for something and hope that the commitment or sacrifice — or whatever else one might call it– of a pilgrimage on an ancient pathway might miraculously lead to answers. 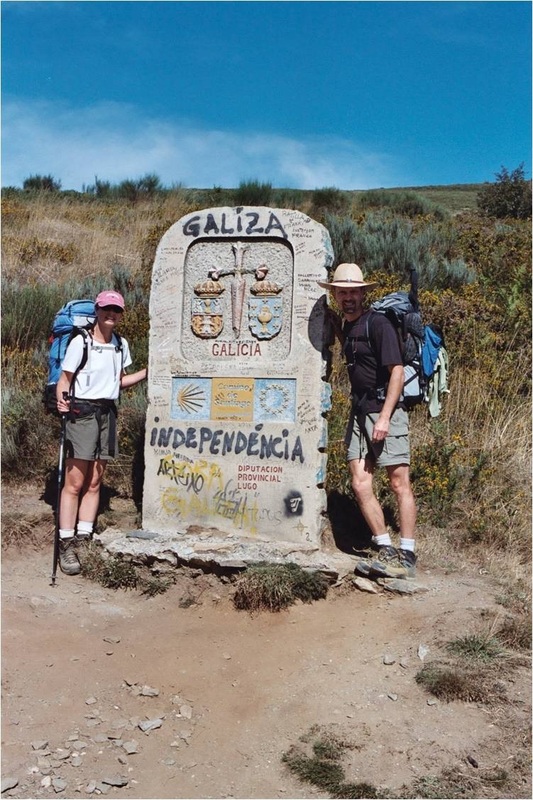 I know a little bit about the Camino because my husband and I walked the final 200 kilometers of the trail in the fall of 2005 across the northwestern region of Galicia. I had no profound reason for wanting to walk it other than a desire to do a long distance trek in an exotic place where I could get a good meal, a decent bed and a hot shower at the end of the day. 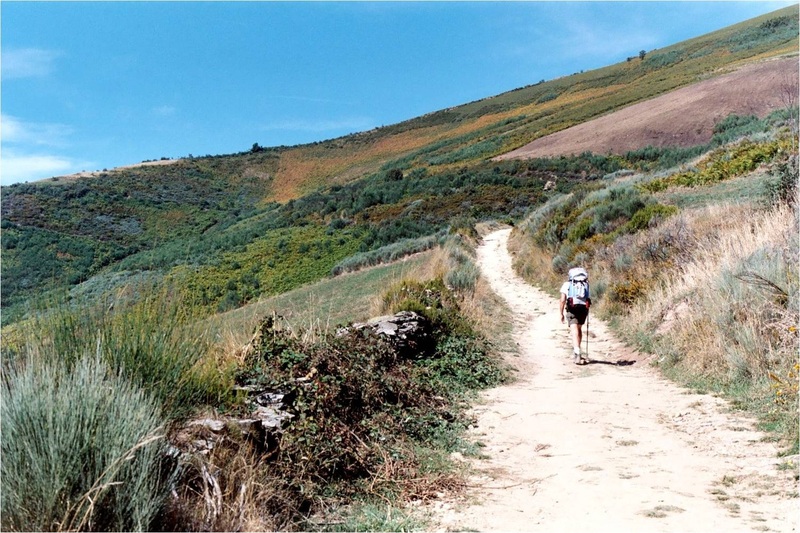 The Camino allowed that, as the path travels through countryside dotted with rural villages and the occasional city. As a bonus, few local people in Galicia speak English and I’d be forced to practice my limited Spanish. We didn’t have the two months it would take to walk the entire route, so I picked a starting spot on the trail that would allow us to end our two week journey in Santiago. But the Camino inevitably becomes a spiritual experience, regardless of one’s stated reasons for starting it. Its routine allows one to escape the distracting trials of everyday life and thereby confront other, sometimes hidden, realities. We’re all injured souls in one way or another and whether you seek it out or not, something will emerge after weeks or months on the trail. And so of course each of the characters in the film experiences his or her own revelation that goes beyond their initial intentions. Indeed, Estevez (who wrote and directed the film) conveys this idea physically as well, as the group decides to extends the trek beyond Santiago to Finisterre on the Atlantic Coast, a final destination for many peregrinos and the inspiration for the Camino’s scallop shell motif. 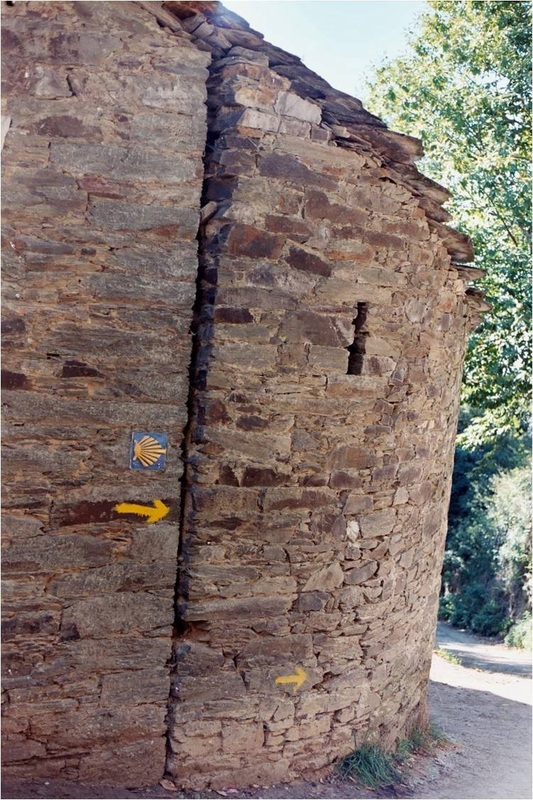 The arrow and scallop pointing the way. For me, the simplicity of each day on the Camino released a calm that I haven’t found since, but I now know is there. Every morning I awoke with only two tasks for the day: Follow the bright yellow arrows across beautiful countryside and find a place to eat and sleep that night. In the fall warmth of rural Spain, those were immensely straightforward and enjoyable tasks. Surely there’s a lesson there about how to live life going forward. No doubt many have experienced similar feelings backpacking through wilderness (admittedly more challenging than walking in rural Spain). But my limit for backpacking tends to be about four or five days, after which I simply can’t eat that trail food anymore. And although I find short regular excursions into wildness not only rewarding but essential to my sanity, experiencing deep peace or a revelation takes time. Which is one reason why The Way left me longing to go back. Two weeks is nice, but imagine what could emerge over two months of crossing the entire country. By filming on location, following his conflicted characters across the endless landscape and capturing the conviviality of good food and wine at the end of each day, Estevez gets it. For those who know the Camino, The Way is a welcome flashback to a life changing experience. For those who don’t, may it be the start of a wonderful journey.